One of the reasons we moved back to Canada was so that my husband, Kay, could take up a job at the University of Alberta. 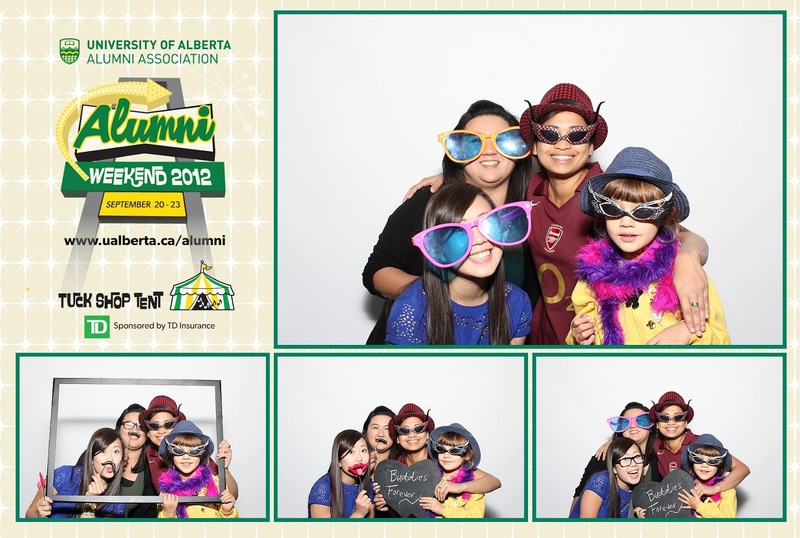 The UAlberta campus is a gorgeous one with campuses downtown and around the city. The main campus is a beautiful collection of old and modern buildings, with grassy quads and the river valley offering up plenty of green space to soothe the soul. But as you are all well aware, nothing soothes this old soul as much as a nice, sweet treat (or two... or three) So when Bryan, my friendly University of Alberta email guy sent me an email telling me all about the famous UAlberta Tuck Shop cinnamon buns... well, there was going to be no stopping me from tasting, and then testing out the recipe. 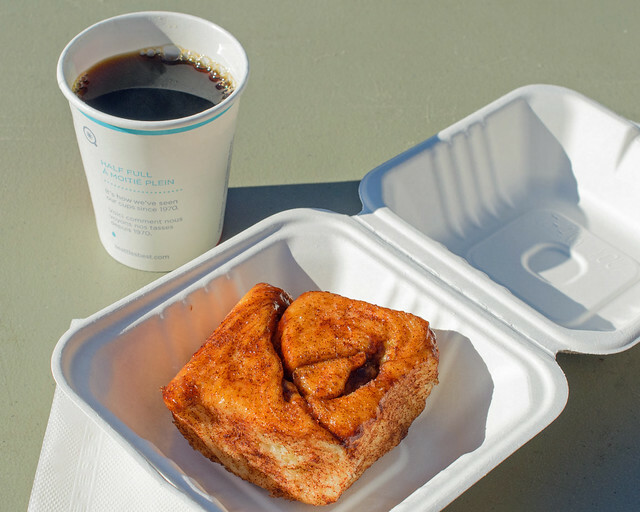 Off I headed to the Tuck Shop tent, which, incidentally, is open during the Alumni Week at UAlberta with my 'official' cinnamon bun taste tester Aditi and my friends Diane and Andrea. I'll be honest, these are really, really good and addictive buns and actually even a teeny weeny better than my usual recipe (you can imagine how much pain I am in, admitting that, haha) I never understood what Kay usually meant by gooey and sticky buns, as my usual recipe, while very good, was more 'bready' and ocasionally on the dry side. They are still pretty good though and I use that recipe for roll dough all the time to make plain rolls. These on the other hand epitomised gooey and sticky. Maybe it was because the buns were not rolled out and cut, instead were coated in a margarine and cinnamon sugar mixture before being bakes that gave them that soft, almost creamy, stickiness. 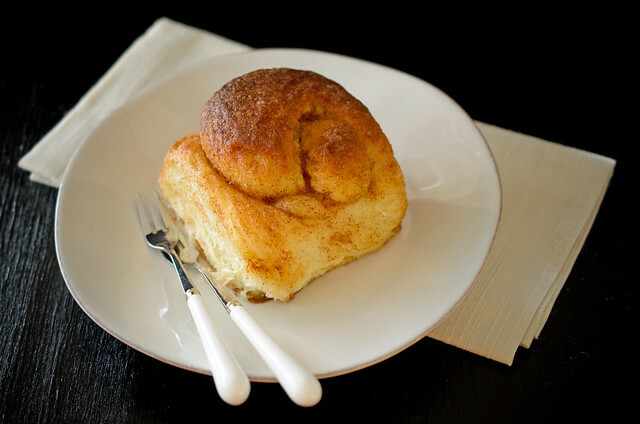 I am not sure, but the one thing I do know is that this recipe is my new go-to recipe for cinnamon buns. The original recipe, as you will see, uses margarine. Now I know that there has been a bit of a backlash against margarine, with more people choosing to use natural butter instead. In any other situation I would have used butter myself, but I decided to follow the original recipe here, so I used margarine. I did feel that if I had used butter the texture of these buns would have been a little less gooey than it was, but I am going to have to test out that theory (soon, haha) If you choose to use butter, use lightly salted butter. There's something very sensual and stress relieving about stretching out the dough and dipping it in the margarine/ cinnamon sugar mixture, and I used a fair bit of margarine when doing this. I thought that the buns would be greasy, but they actually absorbed the margarine when baking, and the result was a much lighter, fluffier bun. I also deviated a little from the recipe, and added a light glaze to these buns when they came out of the oven. 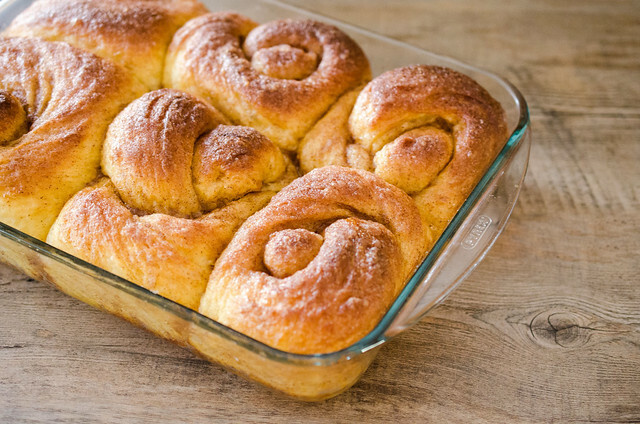 The glaze was nothing more than some left over margarine, sugar and cinnamon, but it added a soft shine, and another level of stickiness to these buns. I haven't included this in the recipe, but feel free to do the same, if you have any of these ingredients left over. The original recipe is here at the University of Alberta History Trails. Some old pictures and some nice links are here. And here's a video demonstration of a young (dagnabit, when did university students get SO young!!) student making the buns. PS - He uses butter. Meanwhile, in a large bowl place the 1 cup boiling water, and add the margarine, salt and sugar. Let the margarine melt and the mixture cool a bit, and then add 1 cup all purpose or plain flour. Beat this mixture hard until very smooth and creamy (about 5 minutes), then add the softened yeast mixture, 2 medium eggs and 1¾ cups more flour. In a flat pan melt ¼ cup margarine, set aside to cool. In a flat dish mix ½ cup white sugar and ¾ teaspoon ground cinnamon. Keep aside. Turn the raised dough onto a lightly floured work surface. Let the dough set 5 to 10 minutes to "firm up". Cut the dough into pieces about the size of an orange. 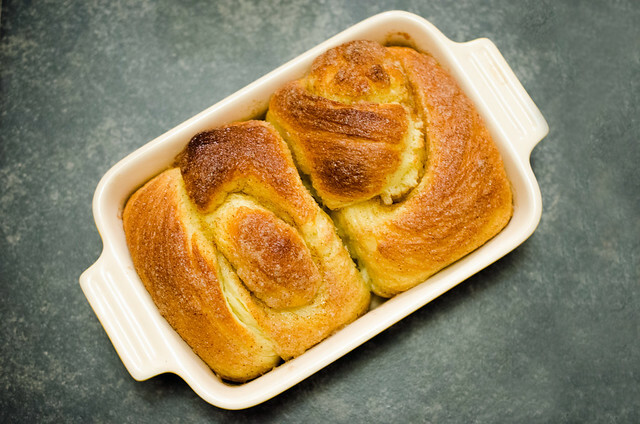 Dip each piece of dough first into the melted margarine, then coat it well in the cinnamon-sugar mixture. Stretch the dough piece until it is 4 to 5 inches long and form it into a simple knot. Place the knots side by side in an oiled baking pan (be sure the pan is 2" deep and allow a 3" square for each bun.) Let the finished buns rise for about 45 minutes. Bake at 375 C for 30 minutes. This recipe makes 8 - 10 good-sized buns. Ideally, an electric mixer is needed for this recipe as it requires a lot of beating (I used my dough hooks to beat the flour). If the dough is too soft to handle, add a bit more flour. However, the less flour used the better the buns. The student in the video uses butter (how very modern... ancient... modern!) but I went with the original recipe that uses margarine. You can certainly use butter if you wish. I will be using butter the next time I make it, but wanted to stick to the recipe this time round. Many many happy returns of the day Michelle!!! And these are lovely looking buns..This version is new to me & glad I was introduced to it..Goes to my 'must taste' list!! Thanks so much Prats. You should definitely try these, I loved them, and its one recipe I know I'll be making lots and lots. And the smell when these are baking is just divine. Let me know how you like them. Thanks for a very interesting article with very appetizing photographs. I think that this important source will also be very useful for students from everywhere.